It’s only a matter of time before increasing dependency on renewables proves to be a mistake. Details from the BBC: RIP Longannet power station. 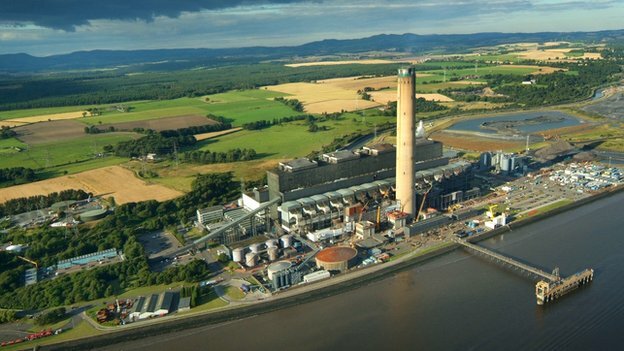 Scotland’s last coal-fired power station, Longannet in Fife, is to close on 31 March next year. The company has also announced it is abandoning plans to build a new gas-fired power station at Cockenzie in East Lothian. Longannet, which opened in 1972, is one of the biggest coal-fired power stations in Europe. The power station employs more than 230 staff but Scottish Power said it hoped to avoid compulsory redundancies. The news will leave Scotland heavily dependant on SSE’s gas-fired power station at Peterhead and EDF’s two ageing nuclear stations at Hunterston and Torness. It is likely to lead to renewed debate about our growing reliance on renewables and generating capacity elsewhere in the UK. Full report: Longannet power station to close in March – BBC News. Scottish Power mentions the expense of connecting it to the grid. Is this as a result of withdrawal of subsidies? Or is it more to do with that the government needs to invest in the national grid but doesn’t want to. Perhaps the ‘coal is bad’ view is getting lost in politics here? Hunterston is not in great shape either. wansteadmeteo – not sure why the connection charges are so high, but they are. The plant that is in effect taking its place is in Peterhead, even further away from the UK’s main population centres. Well the numpties in Scotland will soon have their wish – 100% renewables. We need to have big breakers on the power lines from England to ensure they properly get their wish. If we assume that Fracking starts to bring in the goods say five years hence, then it makes sense to be looking at generation using gas rather than coal ? Then there’d be the ‘Market’ aspect to powerstations. The existing infrastructure was largely created at a time when the costs came from the public purse. And its a not unrealistic proposition to say that the general public would be sympathetic to energy utilities being placed back in ‘National’ hands. This be being largely a result of being gouged by companies who have used every trick in the book to pump their clientèle for ever larger amounts for a product that none can do without. Making another assumption that the energy utilities have been busily engaged over the last 20 years in monetising their assets, and like many of the water companies are at this time approaching the figure of 75% monetisation that represents failure. Then it may be worth a bet on the end of the private utilities world being nigh ? It could also be the case that if we were to place ourselves in the position of the magnates who have been making money out of the utilities for some years now, that it may be high time to cash in ones chips, and quit Dodge while the getting is good ? In any event I rather doubt that said magnates have any inclination to get involved in renewing assets that they inherited from the commonwealth, and which will cost shed loads of money to provide ? So in short, I wonder if the ‘Market’ senses that the time is ripe to dump back into the taxpayers lap, an industry that will soon be faced with a glut of the product it sells, and be facing some hefty bills for infrastructure renewal ? Perhaps you’re right – wasn’t most of the North Sea offshore drilling technology that was developed in the early 1970s funded by the taxpayer – perhaps that time is coming again – pouring taxpayers money into developing modern renewable technology? When you see the dithering being made over the Hinkley Point power station would a public company make any worse a job than the current shambles? In the meantime fracking may provide a stepping stone between oil and gas and better renewables. That won’t be popular with the green lobby but we have to be realistic on our fading capacity! A very big mistake and soon to be followed here as we close down coal and drive thereby down its worth so George Soros can buy it all up and sell it to China. Cementafreind, with a facilty running 24/7/365 you need four shifts, so the plant is run with less than 60 people at any one time. Are you suggesting running the plant with 15 people per shift, including HSE, HR, external affairs, Purchasing, maintenance etc ? I work overseas in plants with 45 year old British equipment. We wish we could still buy power distribution equipment built the way the original equipment was, since modern non british equipment needs replacing every 25 years, but the UK companies who made the original kit, no longer exist. Kongsfjord: looks like the old conundrum – build it too well, lasts too long and the company dies for lack of repeat orders. cementafriend, sounds like you’re American ? If thats the case than you need to realise that the privatised energy sector in the UK is not subject to the degree of regulation that is experienced by the US EnergyCo’s. Energy supply is not an area that easily allows the benefits of competition, especially in a geographic area as small as the UK. At the time of the initial transfer from public to private hands, it was stipulated that generation and supply had to be rigidly separated. That was later changed by the Blair government so that we now have a situation that is little short of racketeering, and with regulators who are always 3 steps behind the action. Fanakapan you seem to be under the illusion that in the US switching energy suppliers is an option for all consumers. In fact it is not in most states. Only 16 states have deregulated their markets and one of the most populous, California bankrupted most of its electricity suppliers in 2000/2001 by imposing arbitrary price caps and preventing them from owning or signing long term contracts with suppliers. This led to rolling blackouts and the State government had to take control of the entire retail supply chain. California now ranks amongst the highest electricity prices while Texas and other states with a free market are amongst the lowest. As for this being harder in the UK the opposite is in fact true. In the UK the distribution network is owned by the National Grid while in the US it is largely owned by the utility companies. In the UK anybody can sell electricity including residential customers producing wind and solar energy through the feed in tariff system administered by Ofgem. These feed in tariffs are MUCH higher than the wholesale prices paid to commercial generators and the extra costs are passed on to all customers. This is a major reason electricity costs have risen in the UK and is why the government has been cutting the rates paid to new suppliers. 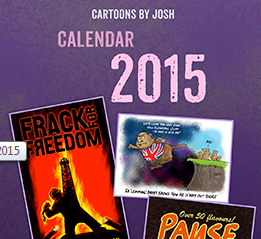 More licences released for fracking in the U.K.